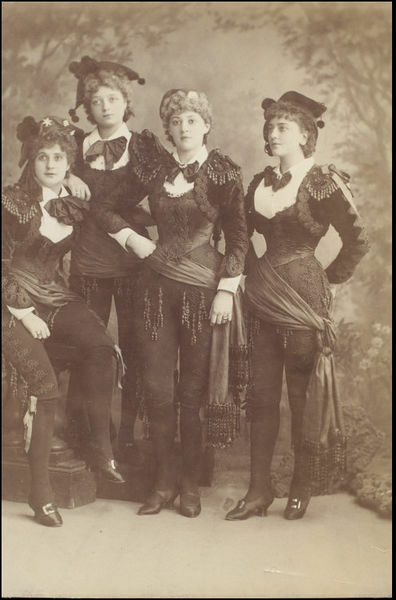 Photograph of Grace Wixon, Blanche Massey, Maude Hobson and Hetty Hamer in Carmen up to Data at the Gaiety Theatre. 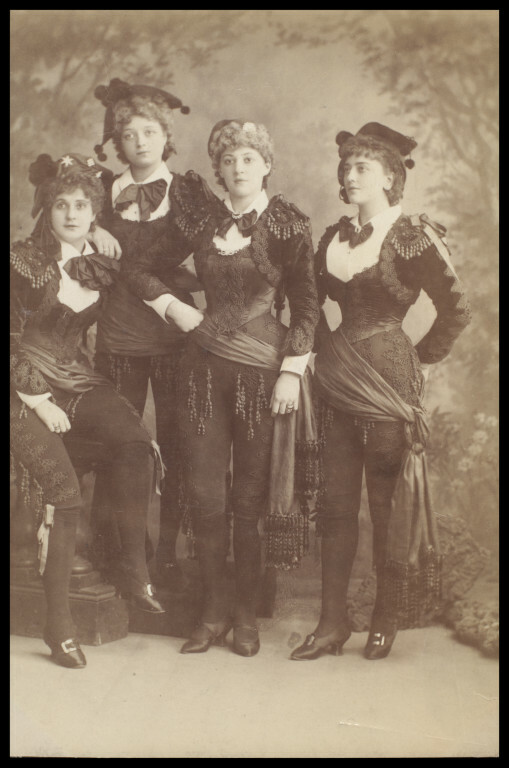 Sepia photograph of Grace Wixon as Larranaga, Blanche Massey as Morales, Maud Hobson as Intimidado and Hetty Hamer as Partagas in Carmen up to Data at the Gaiety Theatre. 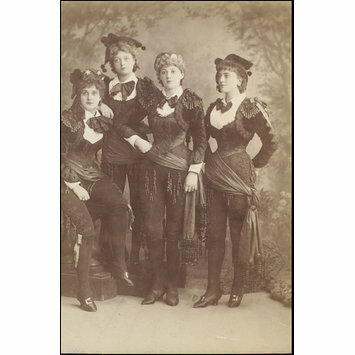 Photograph of Grace Wixon as Larranaga, Blanche Massey as Morales, Maud Hobson as Intimidado and Hetty Hamer as Partagas in Carmen up to Data, Gaiety Theatre. Guy Little Collection.